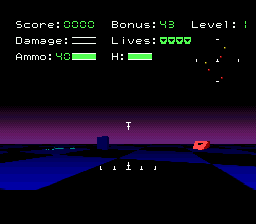 OverviewSpectre is a 3D tank combat game similar to Battlezone in which players must collect flags and, of course, destroy enemy tanks. 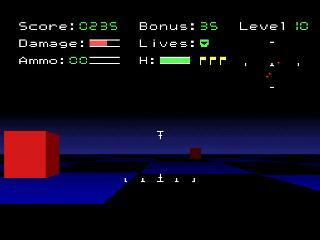 It was released in 1991, and was followed up by a LAN-enabled version called Spectre VR. 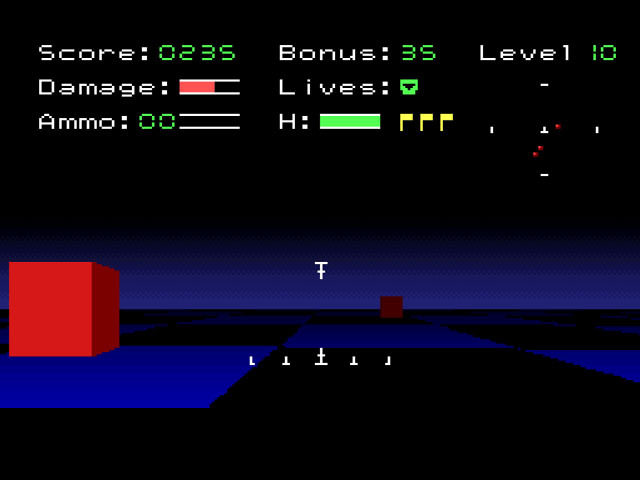 The goal of the game was to drive the tank around the playfield, collecting ten flags by driving over them, while avoiding obstacles and the shots of computer-generated enemy tanks. Now you can add videos, screenshots, or other images (cover scans, disc scans, etc.) 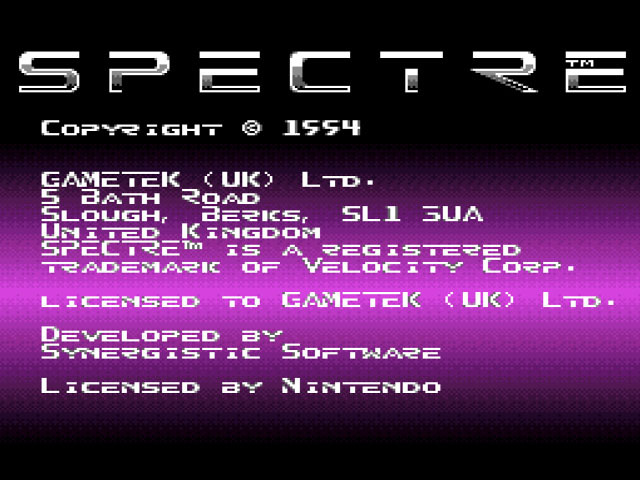 for Spectre (Europe) to Emuparadise. Do it now! If you haven't noticed yet, we have a retro game of the day feature (top-right of the screen) wherein we feature a new retro title every single day! Now, you can vote for your favorite games and allow them to have their moment of glory. 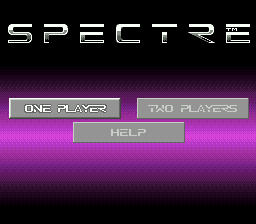 Click on the button below to nominate Spectre (Europe) for Retro Game of the Day.